Kevin Frick is Professor and Vice Dean for Education at the Johns Hopkins Carey Business School. He leads the Carey Office of Education, which includes the registrar’s office, Teaching & Learning@Carey, and the Office of Institutional Data and Analytics, as well as all aspects of student development and services, advising, financial aid administration, admissions and academic programs, and international collaboration efforts in China. At Carey, Dr. Frick teaches microeconomic foundations for managerial decision-making and health care financing. 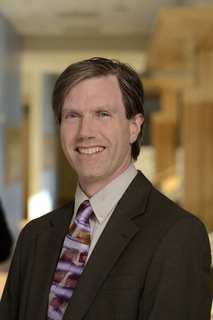 Dr. Frick studied health policy and administration as an undergraduate at Penn State, which he followed with graduate training in economics and health services research at the University of Michigan. In 1996, he joined the faculty of the Johns Hopkins Bloomberg School of Public Health. He moved to a leadership position at the Carey Business School in 2013. Much of Dr. Frick’s research has focused on measuring costs associated with diseases or measuring the cost-effectiveness of new treatments, care systems, or community-based interventions. Areas of focus include nursing, public and private eye care, and cancer. In addition, he has specialized in linking peer-reviewed research from public health, nursing, and medical journals with the information business leaders need to make decisions about companies that operate in the real-world marketplace.